There is no "Battle map" for Future Terra II, I have not created it yet, I need to raise funds for it before I can start. So no character to create unless you are talking about ROK II, in which case you are in the wrong Thread. 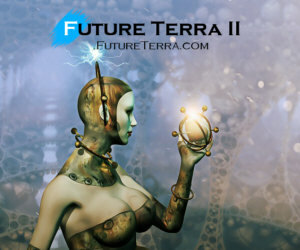 I've moved this Thread to the Science Fiction Role-playing Game Board as it is more appropriate for there especially with our new fund raising project: Crowdfunding For Future Terra II. If you will like to see this take off so we can have many Science Fiction games happening in this Community then please contribute. This is fabulous JB since I miss the days of FE. I hope you get all the funding you need to start and count me in when it does! So will this new Science Fiction setup resemble Ruler of Kings II in any way or is it something totally different? The beginning, when you initially create your Character and before you reach The Town will be similar, but then the similarities end there because the idea of Future Terra is to get you into a Play By Post Game as quickly as possible and not to linger in Solo play like ROK II. You see the vision I have for this is to extend it to various parts of the Community enabling more people to be Game Masters because the system takes care of things. So with ROK II, you had to earn your keep by acquiring gold. Eventually buying a house, a horse, and training a familiar. Does the character get around in a spaceship then? A bit like the Traveler Role-playing Game? Will it connect to the town in ROK II via a portal, where the character travels in both time and space? Future Terra II and ROK II are two separate things. The engine behind FT2 will enable the fast setup of Play By Post games in any theme. Where your Character will be and what they will do depends on the Scenario the Game Master / Referee has for the Players. Will there be any part of it available for solo play or is this totally about creating a character and jumping into a Play By Post game?